Up to 70% Off New Sandals on 6pm.com Today 2/26 | A Savings WOW! It’s hard to believe, but Spring will be upon us very soon! Get ready by getting a new pair of sandals. 6pm.com has some very cute styles for up to 70% off right now. For example, the Guava Plush from Aerosoles sandals above are originally $69.99, but you can get them for only $16.99 with FREE shipping! With these prices, you can get 4 pairs of sandals for less than the original price of one pair. Plus, when you use Ebates to make your purchase, you will get 3.5% cash back, making it an even better deal! 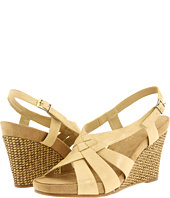 Check out the selection of sandals at 6pm.com through Ebates.